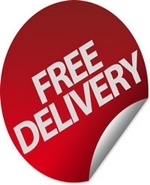 – We announce details of our free delivery in February offer. Get coupon code to avail of this offer in Newsletter. – We look and water charges the story that won’t go away from the perspective of Irish Water, the Irish government, the protesters, the general public and how recent decisions affect us. – We look at some last minute Valentine’s Day gift ideas. – We look at loads of new exciting products just added to the range and much more.